Patients with Chronic Kidney Disease, especially those with Peritoneal Dialysis and Hemodialysis, often struggle with energy levels which limit or eliminate the ability to exercise regularly. This typically results in unwanted weight gain. Moreover, many dietary restrictions prevent patients from eating healthier food options, again resulting in further weight gain and not feeling the best. Depression and demoralization can creep in as a result of low Anemia, stress, and anxiety which may lead patients to think less of themselves. 1, See Your Scars, Catheters, and Bulges as battle wounds rather than undesirable marks or signs of inferiority. 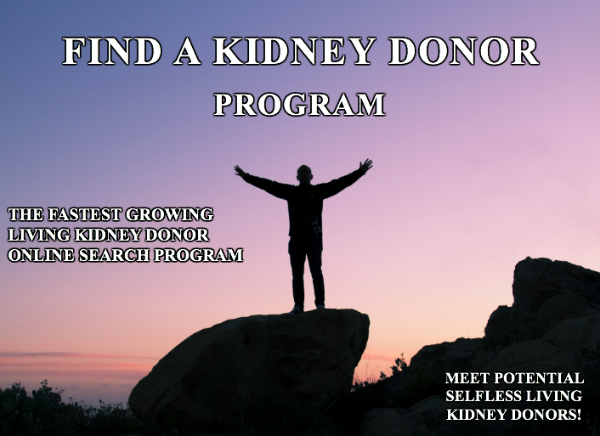 Ultimately, your choice to fight to remain alive as a Chronic Kidney Disease and Dialysis patient means a lot more than any of the wounds that are more obvious. It takes a lot of courage for you to continue to conduct Dialysis and fight for your life which has great value. 2. Sometimes a patients skin color may become darker, grayer or have a yellowish look for a short period of time, and then change back with more regular Dialysis. For more permanent skin color changes, make-up products can correct skin tone if you need a quick solution. This is not just an option for women. Foremen Makeup noted that their Brightening Color Corrector Cream is "Oil-free and lightweight, this color-correcting cream for men has microencapsulated pigments that adapt to your individual skin tone." 3. Itchy, dry skin may be limited by avoiding the use of products that are high in alcohol or heavily scented. Try a moisturizing soap for sensitive skin instead. Moisturizing creams that are high in water content are typically a better choice than regular body lotions. Ask your doctor or pharmacist which dry skin treatments they recommend. 4. If you are beginning to lose your hair, then consider visiting with a hair stylist or professional barber who can recommend styling tips that make thinning hair less noticeable. A fresh hairstyle may help you feel more confident with your appearance. 5. Rewire your brain. Information and thoughts move through Chronic Kidney Disease and Dialysis patients' brains via neural pathways. The more thoughts follow a specific pathway, the stronger that pathway becomes. If you are thinking “I’m fat, I’m ugly” every day, those pathways become really strong. Still, you can create new pathways with messages of self-love and kindness instead of self rejection. One way to interrupt your negative thinking is to say “that’s not true” or by saying what you wish to be true instead. 6. Re-evaluate self-worth. Our minds are filled with the thoughts, beliefs, and values of all the people who influence our lives. Having a strong sense of 'Self' comes from tuning out the voices of everyone else and listening to your own information, intuition, needs, and desires. You are an upstanding, strong person with much to still give. Although you are going through a challenging time, you are still important and have a very high value to the world and those around you. It’s about doing what feels authentic to you and letting go of the need to get everyone else’s approval. The only person you have to impress is yourself. Do you ever suffer from body image issues? How do you manage to overcome them? Weigh-in with your own pros and cons at the KidneyBuzz.com Facebook Fan Page which has over 82,000 friends (click here). While you are there, like the KidneyBuzz.com Facebook Fan Page and visit KidneyBuzz.com regularly (250,000 monthly viewers) for the latest tailored breaking news and information which teaches those with Chronic Kidney Disease, Dialysis, Kidney Transplant, Diabetes, and High Blood Pressure how to better manage and improve their lives. You may become a regular visitor like, Billie Ann Bishop who said, "I love this site! So much info❤"